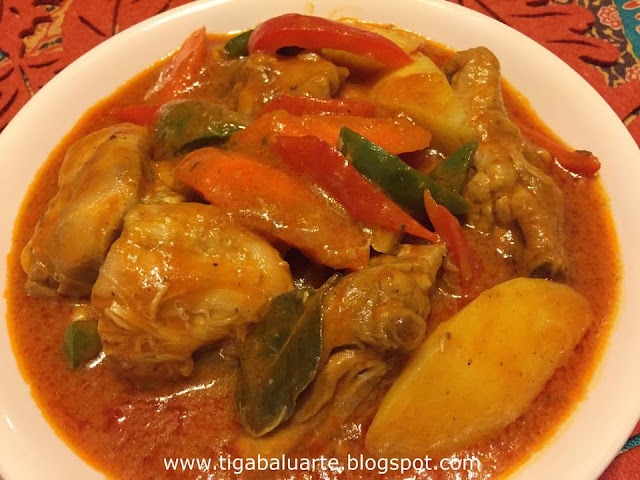 Chicken Afritada is a popular Filipino dish Spanish inspired. 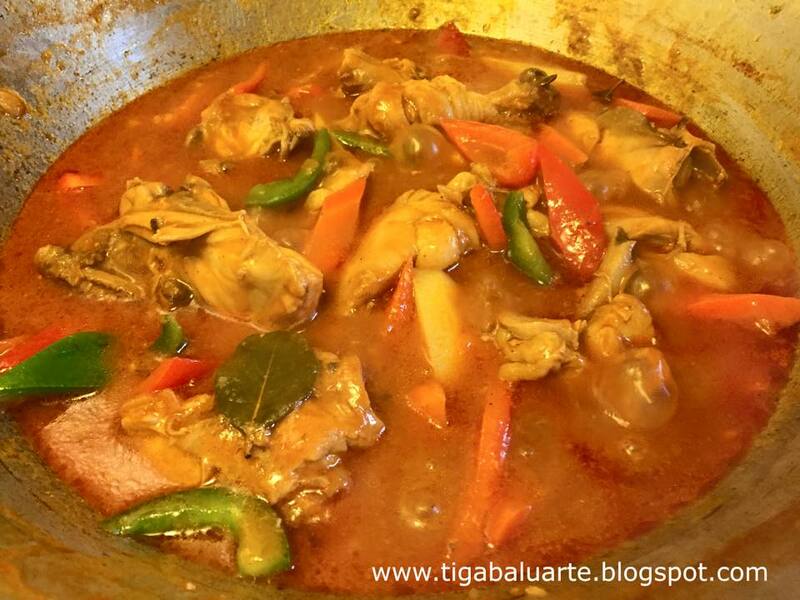 Chicken with basic vegetables and stewed in tomato sauce then seasoned with patis (fish sauce). Check out my special recipe below. 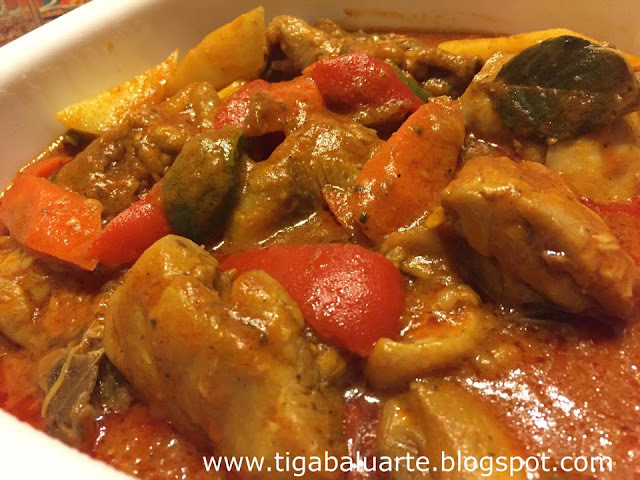 Follow step by step instruction and enjoy as tasty Afritada. Heat cooking oil in a wok or a deep pot. Sauté garlic and onion till caramelized. Add chicken and sauté in medium heat till chicken turns golden brown for about 5 minutes. Season with ground pepper and fish sauce. Cover and simmer for few minutes or till fish sauce evaporates. Add bay leaves, water, pineapple juice and tomato sauce. Cover and simmer for 10 minutes or till chicken is tender in medium low heat. Season with sugar and salt if needed then add carrots then potatoes after few minutes. Let it simmer for 4-5 minutes. Add bell peppers and green peas. Allow to cook for few minutes. Sprinkle with grated cheese, stir well and remove wok from heat. Remove wok from heat, transfer in a serving dish and serve. Some do like fish sauce on the side. Enjoy! With this recipe I added pineapple juice because I like tangy flavor. I also added grated cheese for extra flavor. It really made a difference, the dish turned out really good. Oh yeah, I skipped on the green peas intentionally. Hubby thinks peas are bad for his gout.